The Grundig Stadium in Nürnberg will host the match between the two middle of the table teams, Nürnberg and Hoffenheim. They are 12th and 13th in the table separated by a point. 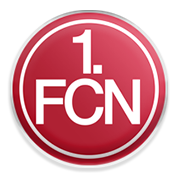 And even though Nürnburg are above Hoffenheim in the standings, they have a much worse goal difference as they’ve conceded the most goals this season out of all the teams, sixteen in total or just more then two per game. Hoffenheim will look to exploit this fact. Both teams opened the season with a defeat and both have lost their last match. Their form coming into this match is similar, with Hoffenheim losing twice in their last four games, same as Nürnburg who have two wins in that period and Hoffenheim a win and a draw. Considering their problems in defence, Nürnburg might find it hard to secure all three points at home and will most likely have to settle for a draw. Born on 9th April, 1995 in Pforzheim, Germany, Robert Bauer started his career at FSV Buckenberg, before joining Karlsruher SC in 2014. FC Ingolstadt was his next destination and during his 2-year stay Bauer made 42 appearances and scored one goal. Due to the fact that the 23-year old plays as a right full-back and a right wing-back, it is no wonder that his goal scoring abilities are not so good. On the other hand, this versatile player can cover every single position in defense. His good performances with Die Schanzer earned him a call-up to the Germany U20 team. The youngster was able to play both for Germany and Kazakhstan, but he decided to decline the offer of the Kazakh, hoping to represent Germany in the future. He was a part of the Germany Olympic team that won a silver medal in 2016 Summer Olympics. In 2016, Bauer joined Werder Bremen and his first season at the Weser was very good, but he suffered a somewhat dip in form during the following season, which is why he moved to Nurnberg on a loan deal, looking for regular game time.